To fit into a pair of vintage pants. I suppose my ditty almost says it all…my very first attempt at making pants did indeed turn out amazingly well. Slacks have always been a great mystery to me and a source of mental terror, feeling like they are impossible to be made perfect. After seeing the plethora of fitting tutorials and reading through tailoring info for pants, I really feel like I bit the bullet and missed a guaranteed failure with these pants by doing not one iota of adjustments and coming out with a great finished pair. There’s nothing better than a success when prepared for disaster! 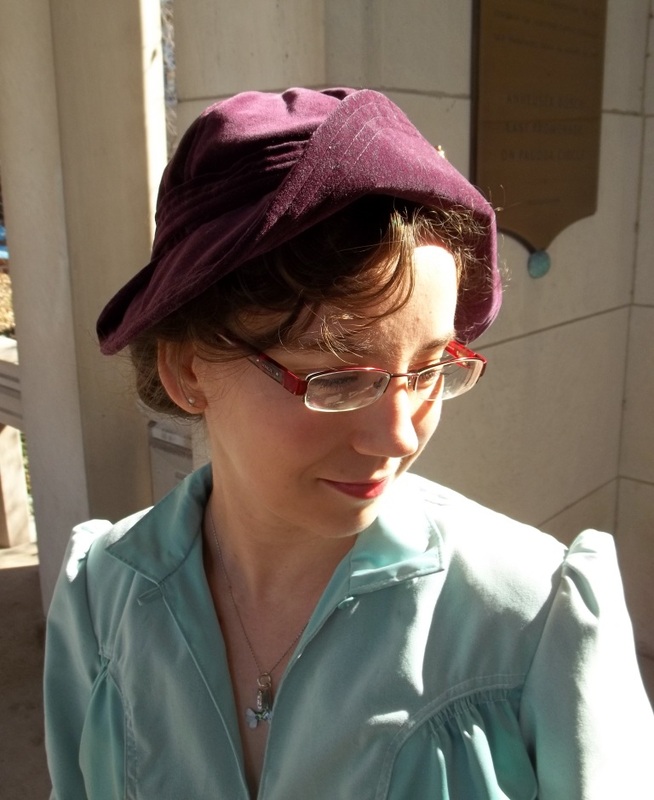 Plus, now I have a new and different vintage clothing item to wear – 1940’s slacks – along with more confidence and knowledge than before! I learn by jumping in headfirst and just getting things done. Those of you who have done pants already might think I’m overreacting, but, hey – everybody has to start somewhere. 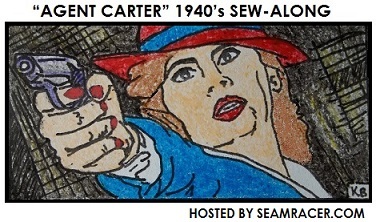 This post is part of my own “Agent Carter” 1940’s sew along. 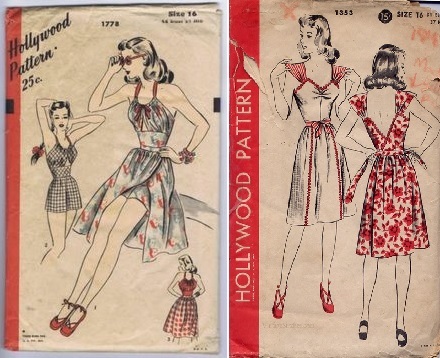 Join me by leaving a comment to let me know about your own 1940’s sewing project. Making and wearing trousers was totally out of my comfort zone. I have never found a pair of ready-to-wear pants which actually fit me, stayed up on me, and came at my true waist well enough to actually be comfortable and enjoy wearing. 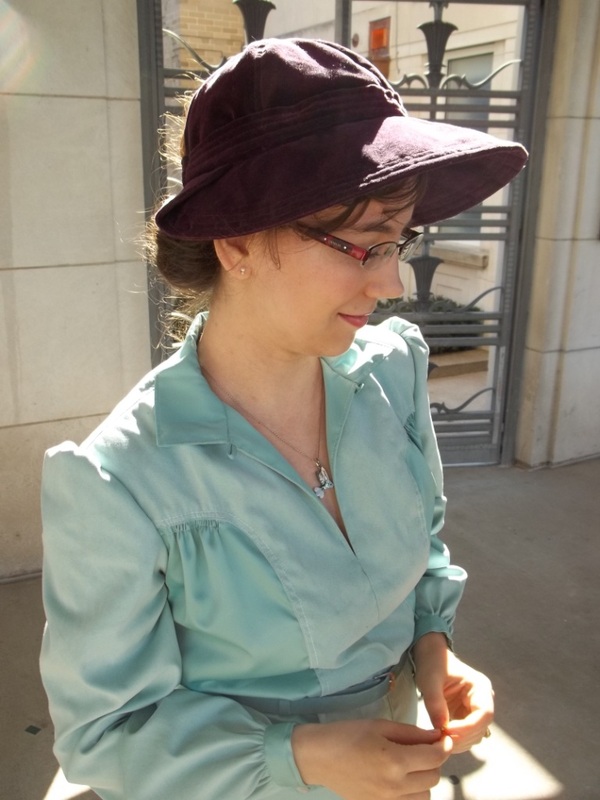 Thus, I have conventionally found skirts to be more comfortable and versatile (probably always will), but sewing my own pants is helping me realize why women of the 40’s wanted to wear pants. 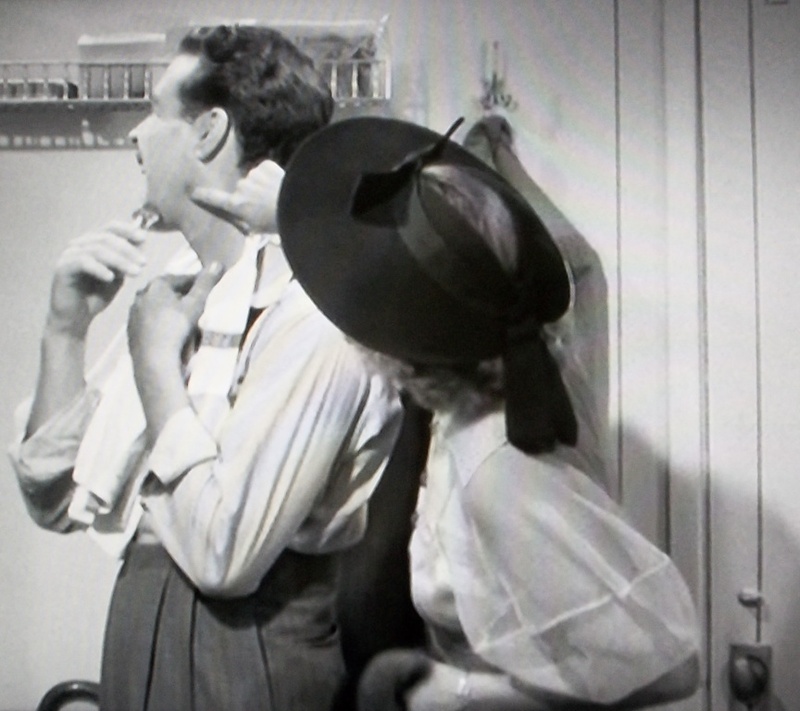 I may be on my way to being won over to the Katherine Hepburn/Marlene Dietrich style of feminine menswear. 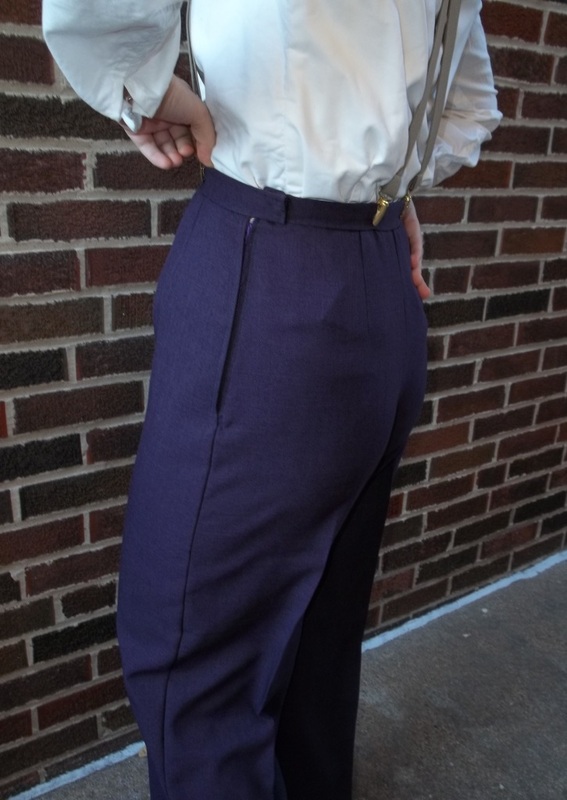 These pants fit too snug for a proper, looser, vintage style, and yet they fit very well for a modern style, so there is more work and fitting to be done with my next pair of slacks. 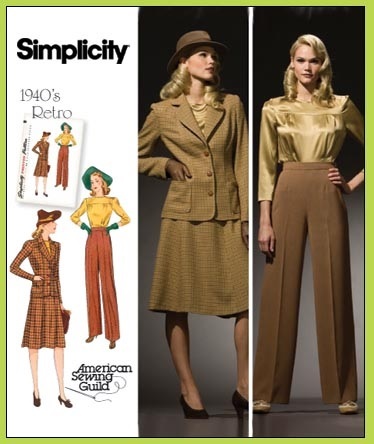 I feel they are a nice in between modern and vintage to introduce me to pants wearing. Now, maybe you can understand why these are my “trial” pants, as my title says. 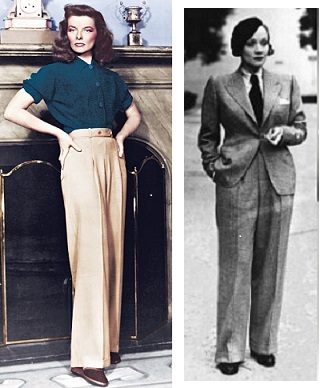 As my first slacks, too, they are also a “tribute” to (as I mentioned above) three leading ladies of the 1940’s, Katherine Hepburn, Marlene Dietrich, and Veronica Lake, all of who made history with their remarkable style and the confidence with which they wore that style. Personally, I am self-conscious about my thighs and rear end when I wear slacks, and I’d like to have a bit of the confidence of Hepburn to not be afraid to feel the empowerment, freedom, and confidence to be one’s self and be a strong woman. 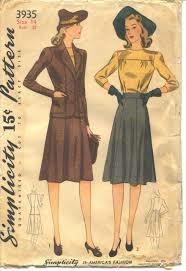 Hepburn’s style gave me the idea to pair my suit pants with my basic 1943 power blouse. 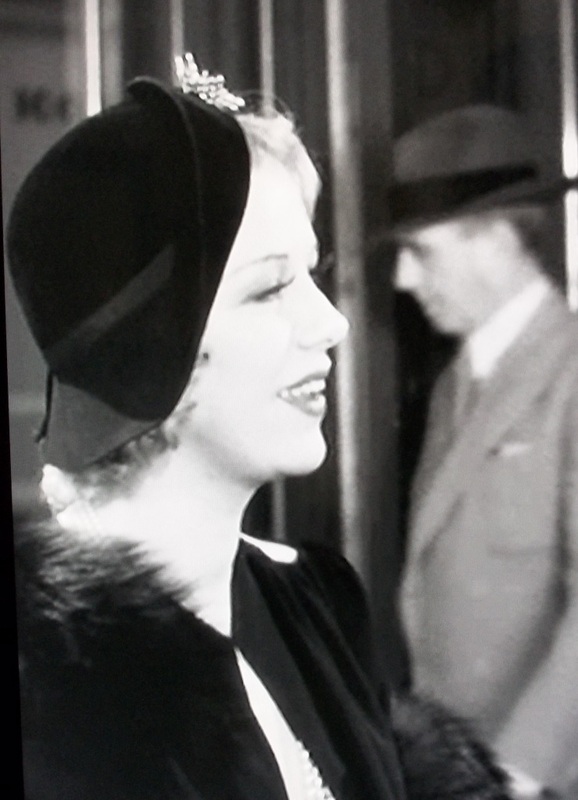 I love to dress up and go fancy, so I have always admired how Dietrich was able to pull off both dressing in classy gowns and conventional women’s wear as well as wearing menswear while still looking attractively feminine. 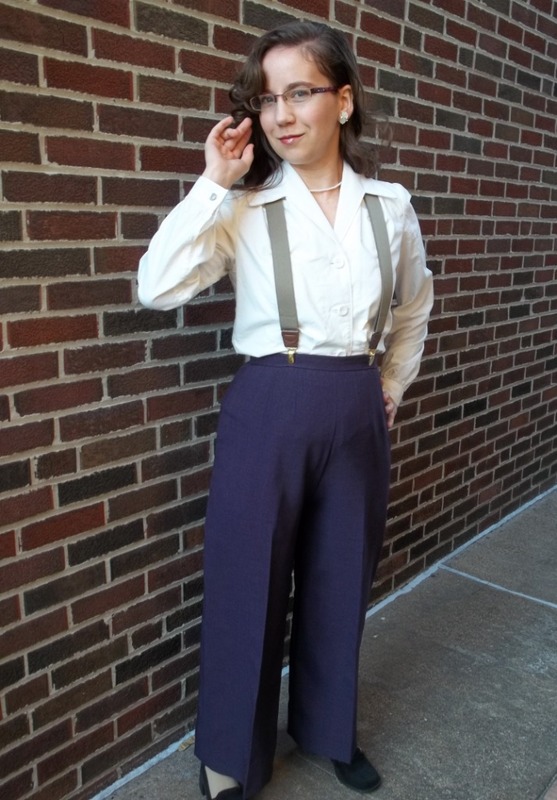 Dietrich inspired me to add my hubby’s suspenders to my outfit. 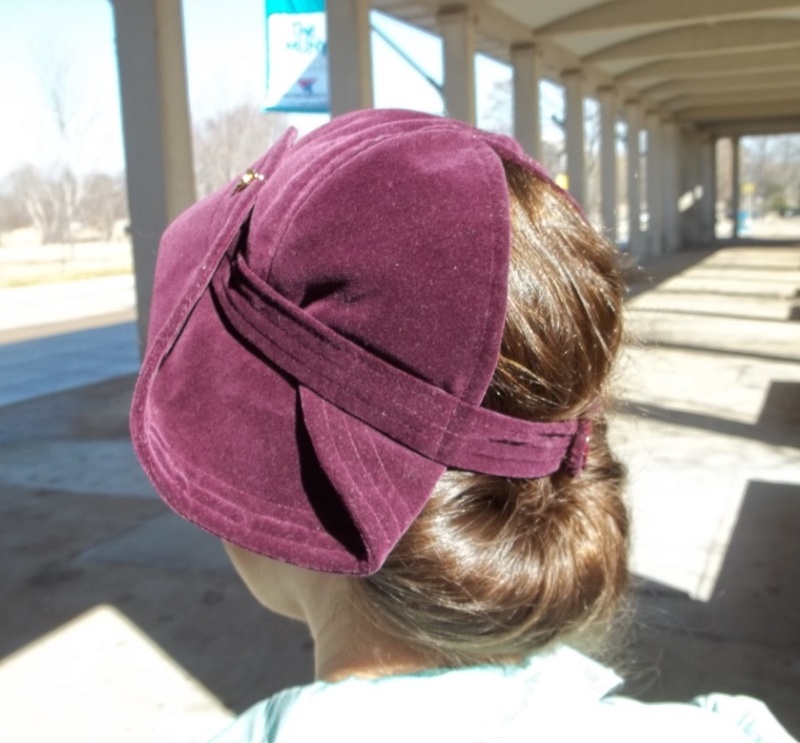 Veronica Lake is my idol when it comes to the most beautiful hairstyle for long hair – I styled my hair as my best imitation of her “peek-a-boo” waves for this photo shoot. 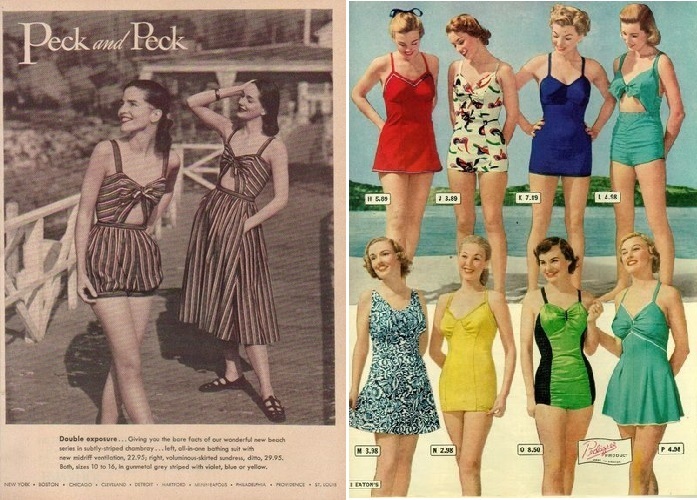 I feel badly about certain parts of myself (I think most people have this, too), and I, as a petite lady, appreciate the fact that, for Ms. Lake being such a tiny woman (only 4’11), fashion was worked in her advantage to compliment her in a way so that they made the most of what she had. Three history making women, completely different, come together in my own way with my pants project. 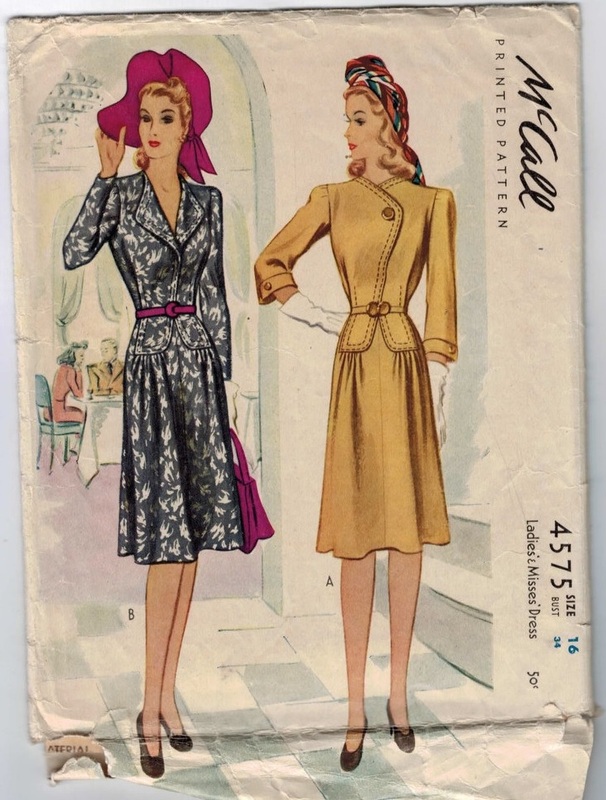 FABRIC: The fabric is a 100% polyester suiting from Hancock Fabrics. 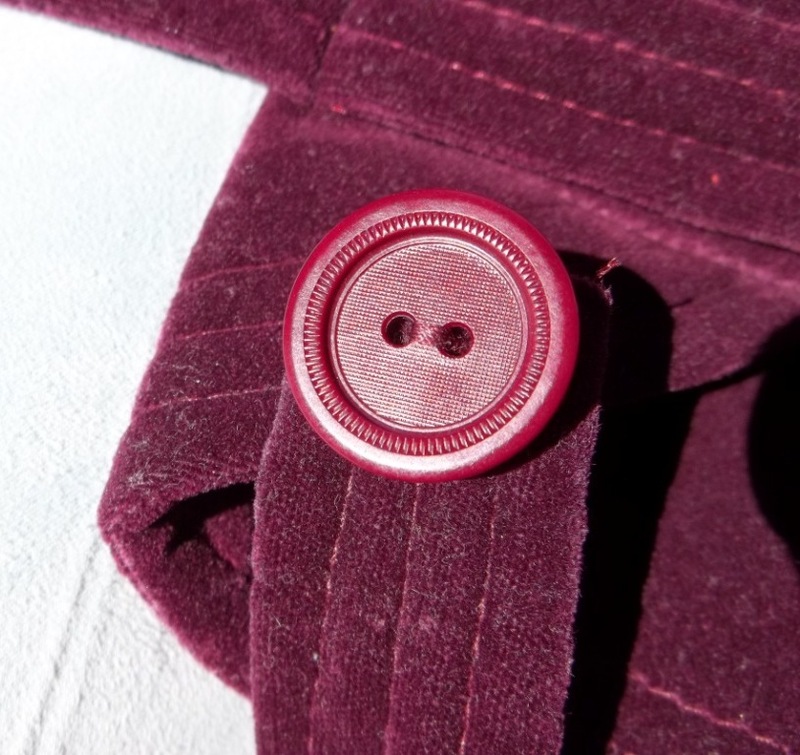 The suiting both has a nice texture on top and a basket-weave design between the black and the deep purple colors. 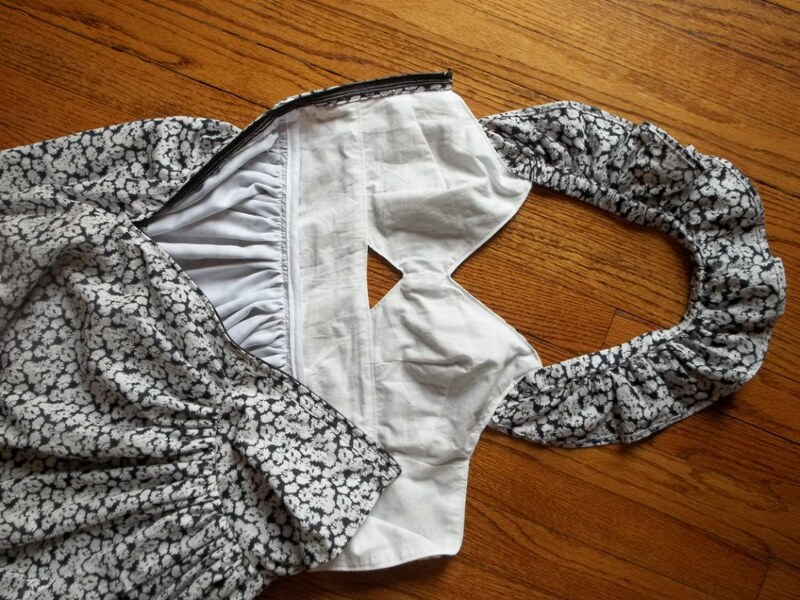 NOTIONS: I had the interfacing and hook-and-eyes needed for the waistband, as well as the black thread. Basically, all I bought was a zipper. 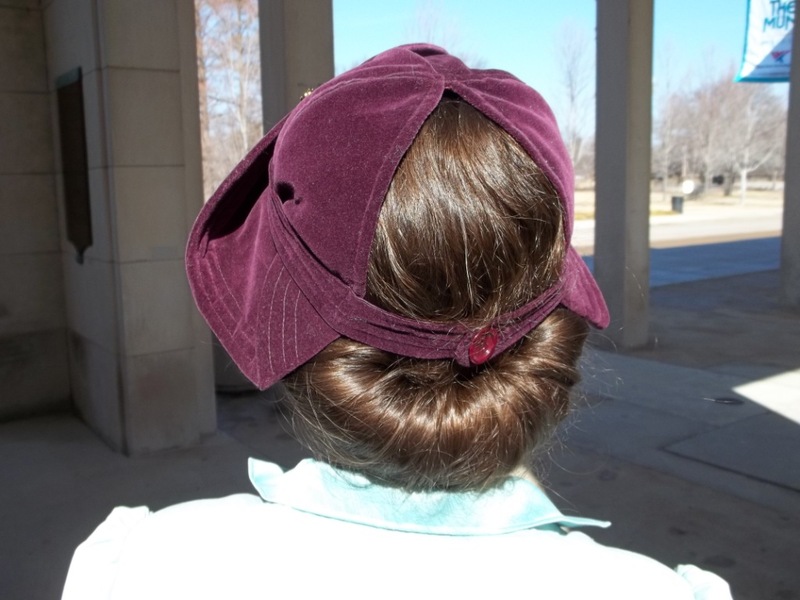 I have a deep suspicion I should have used buttons for the side closing, they might be more authentic. TIME TO COMPLETE: Even with my trial attempt and a few things to fix slightly, they were done quickly, after maybe 4 hours, from start to finish, which was on October 23, 2014. THE INSIDES: …basic and raw. 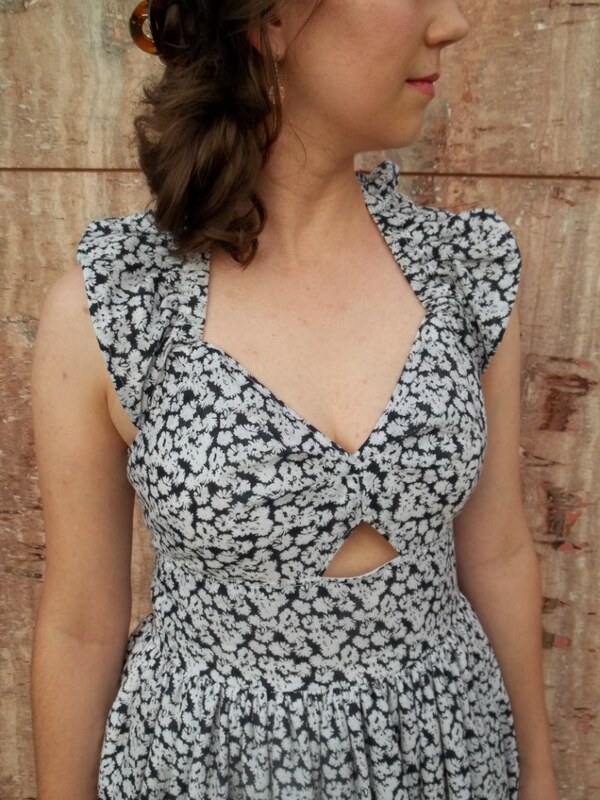 TOTAL COST: For two yards, I paid half price – $7.50. 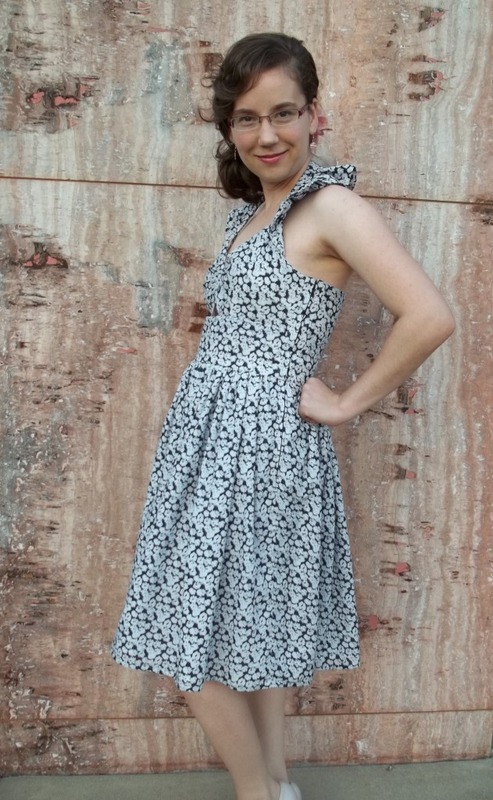 I set myself up for a disappointment by choosing a fabric I really liked, but didn’t pay too much for it. Thus, if the pants were unable to be salvaged, I wouldn’t be put out (although I haven’t yet found an item I haven’t been able to recover). 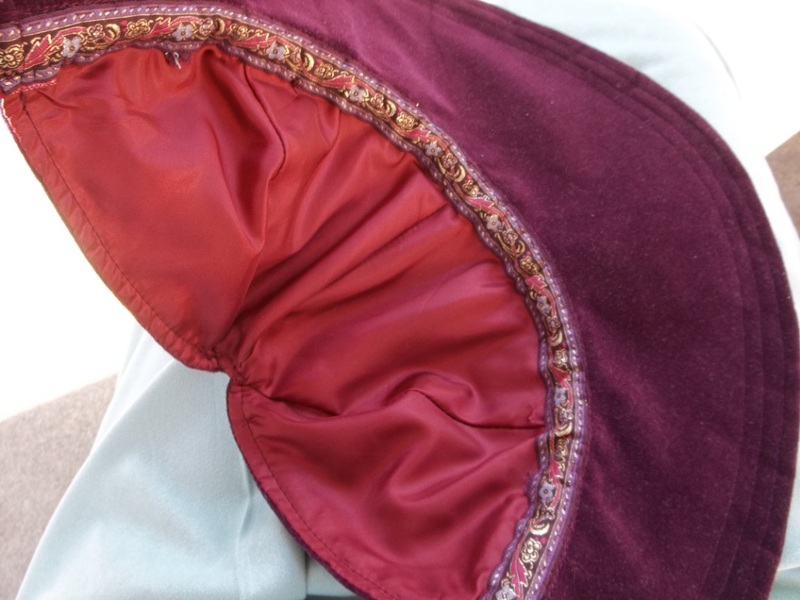 I understand that for most people, making a pants pattern “as is” would not turn out a nicely fitting finished project. 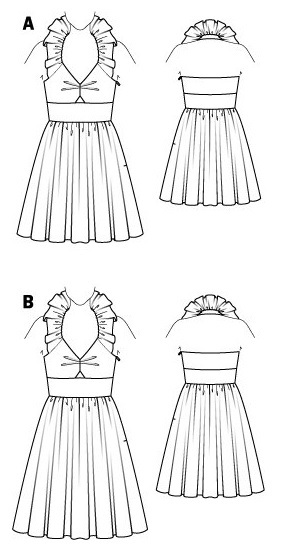 Thus, I would like to share the sizing I chose and the adjustments made in case it might help someone else. 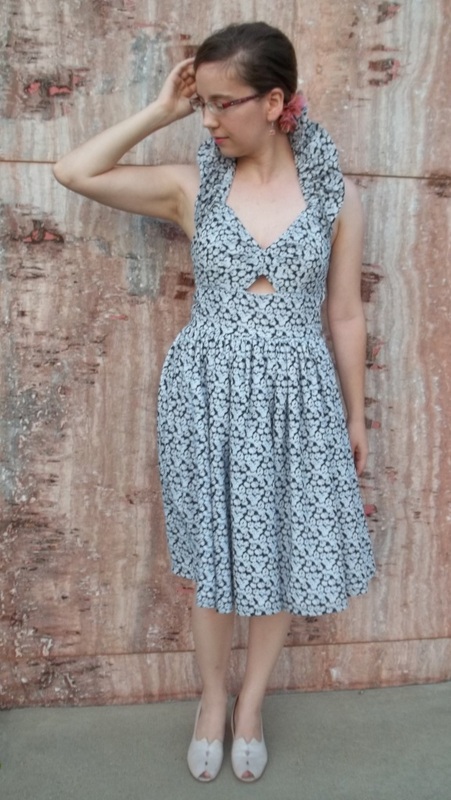 Just to be on the safe side, I ran on the slightly larger size range for below the waist when it came to cutting out. I made the corresponding size for my waist measurement at the waist and the waistband, but for the behind, crouch, and legs I went up a size. The waistband turned out fitting quite well, almost snug, so when the pants were finished I added a second hook and eye further out when I feel like I need some extra room. The inseam fit well but rather snug, so after the pants were sewn together, I decided to unpick the length from where my tailbone is to halfway up the front and slightly adjust. 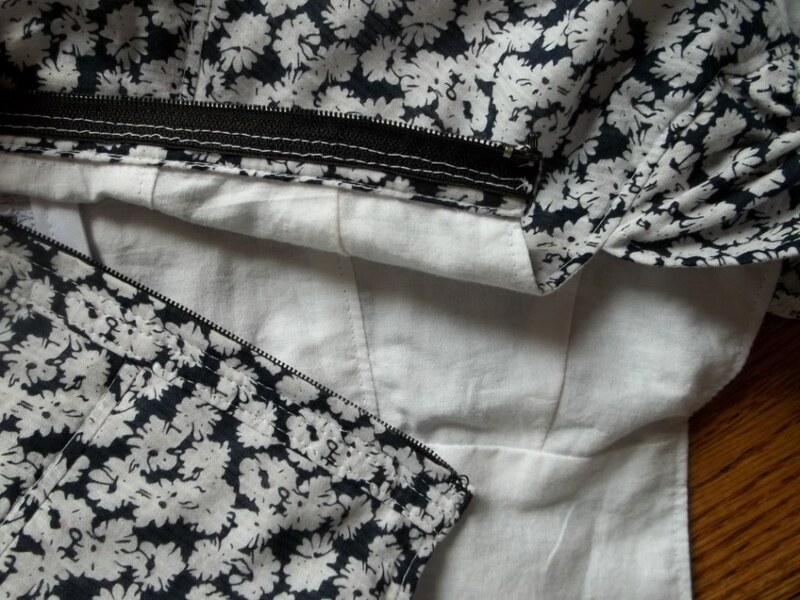 Instead of a wide ‘U’, which is what the inseam looked like originally, I cut a new lower inseam dipping 2 ½ inches lower where the inner pants seam meets. Now the inseam is closer to a curved ‘V’, but now I have just a tad more room – all that I need for my slacks to be just right! After briefly wearing my pants for the first time, I felt the waistband to be a bit wide and overwhelming. 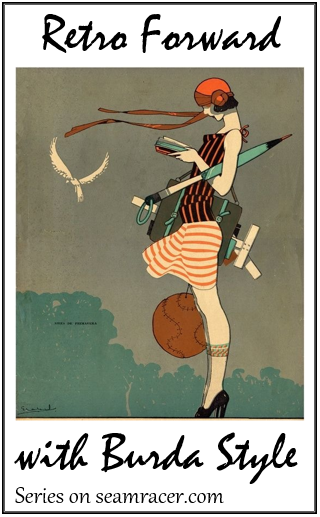 They tended to sit very high on my torso, even higher than my high waist. 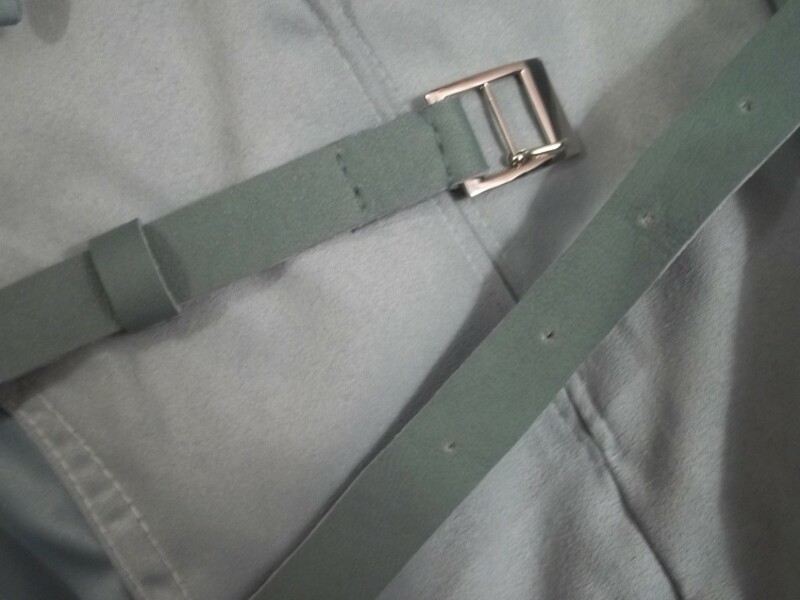 I did a quick and easy fix by merely folding the waistband in half inside the pants, and hand-stitching things down. Hemming the pants was a very hard part for me to figure. Hubby’s help was needed for this step. 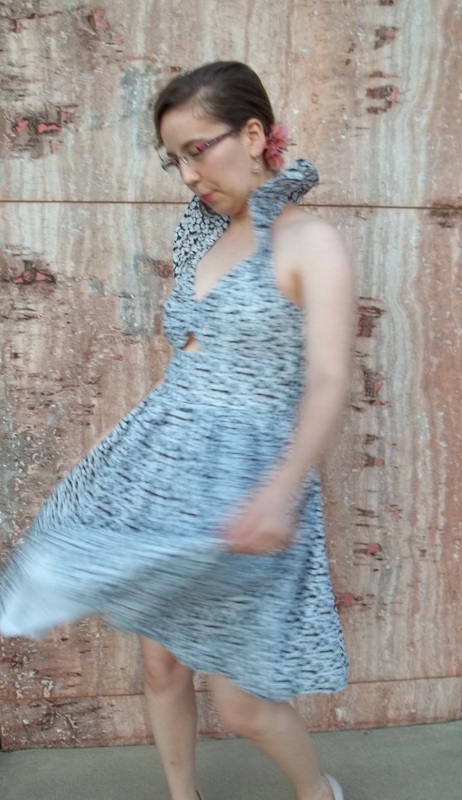 I kind of felt weird for it to be so hard for me to find the right length to hem my pants, but a skirt or a dress is what I’m used to working with and they are so much easier. You can stand there and figure out where it falls, but for pants, the hem is at my ankles, and I can’t reach that far (no, duh, right?! 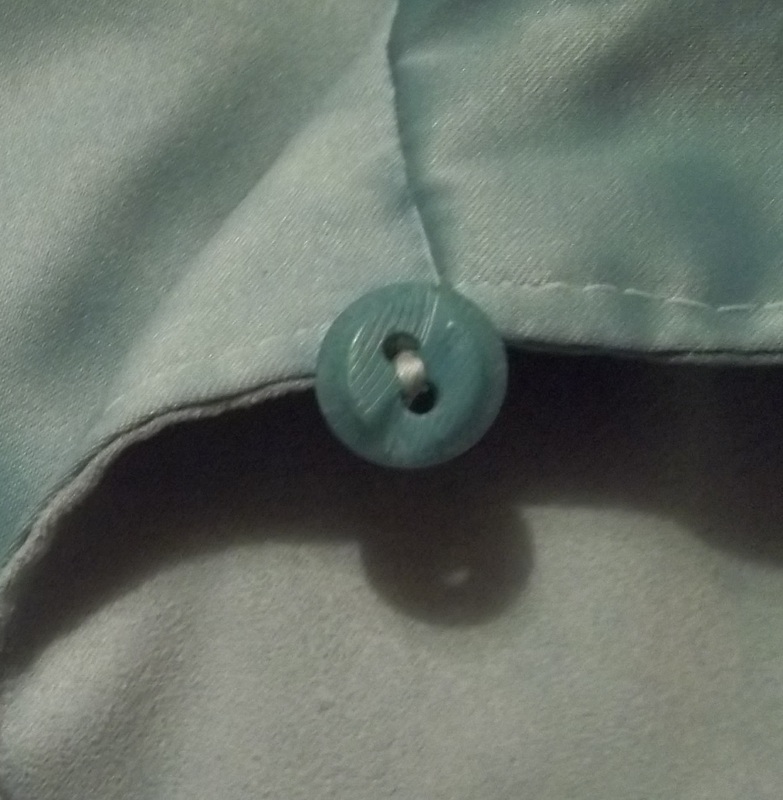 ), nor can I understand how to measure down from the inseam…see…I have to get used to sewing slacks. Every time I move the pants hem changes and moves too – even just bending over to look down changes things. Oh well. I’m just thankful for hubby’s help. Now, with these trousers, I have a sort of “bench mark” to go by to figure out the hem for my next pants. 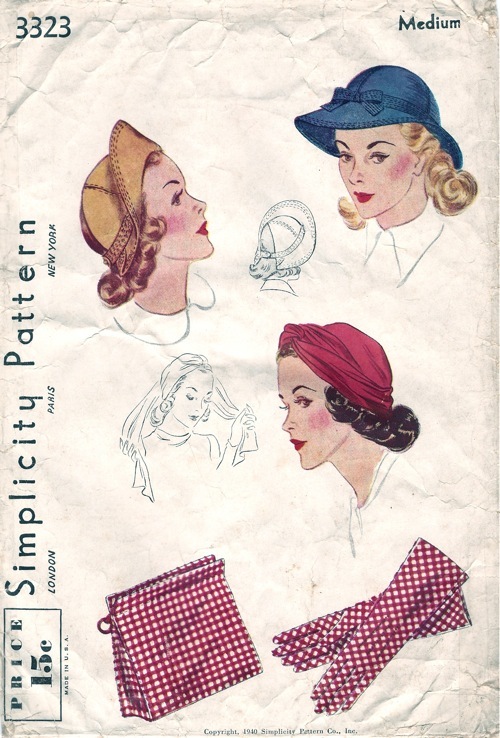 Trying to do a Google search for the original version of my 40’s slacks, or even similar styles, afforded patterns from the early to mid-1940’s. 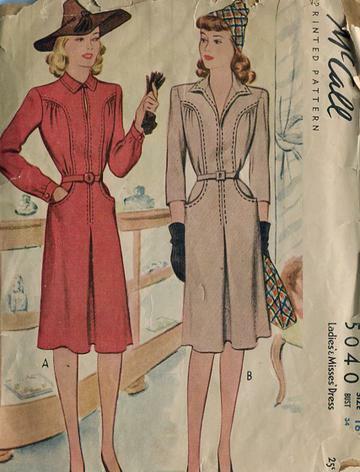 I have already made the blouse (see the blog page for it here) from the same pattern used for my pants, and I had found out that the pattern (including the blouse, jacket, and skirt) was a reprint from the year 1941. Apparently the trousers were added to the pattern’s ensemble from another different release. 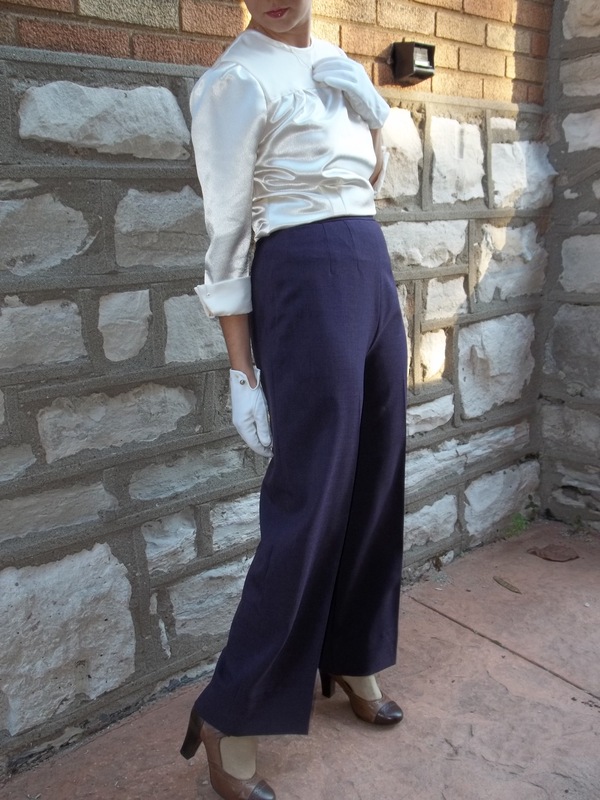 These slacks do not have front pleats and the slightly roomy fit of 1940’s casual bottoms, so I’m assuming they are supposed to be dressy, as I made them. 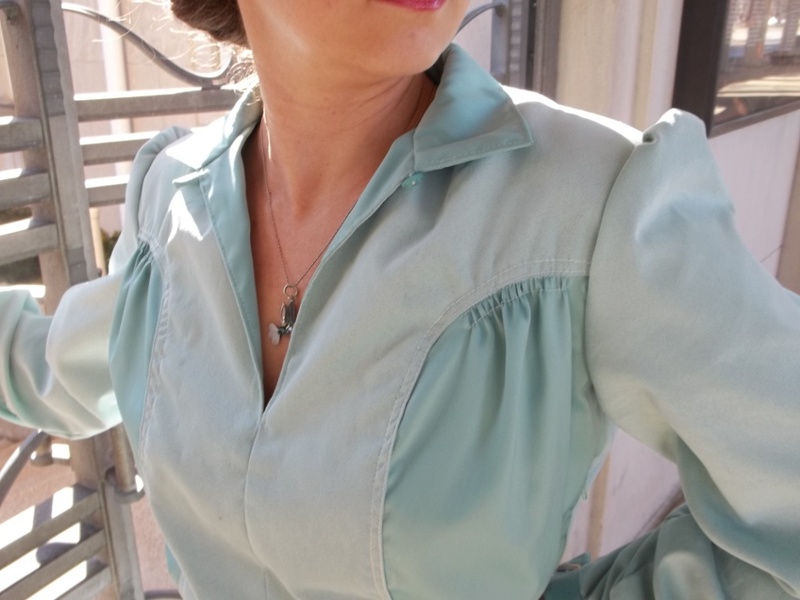 However, as you can see in my post’s picture above, I tried wearing the pattern’s satin blouse with the slacks and thought it looked just so-so, not as great a combo as when worn with my cotton 1943 blouse. 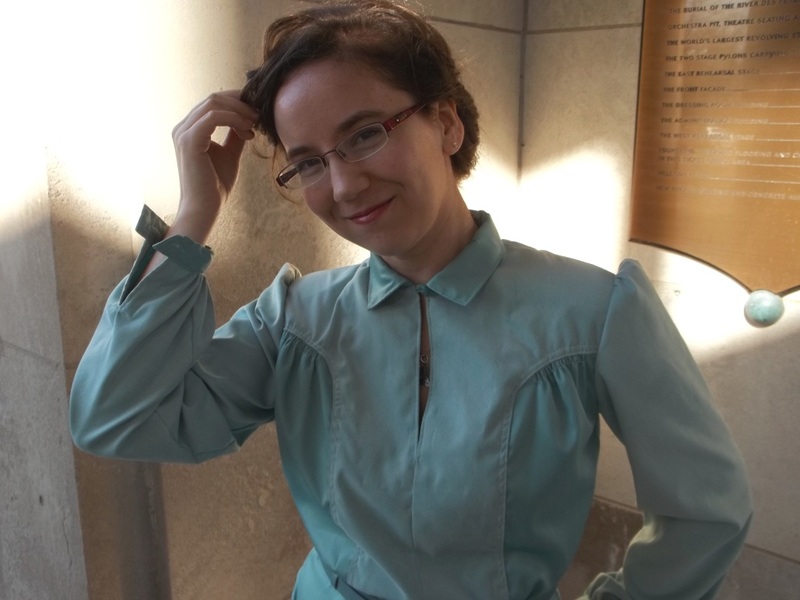 I have since made and found other blouses and tops that also work wonderfully with my 40’s dress slacks, making them more handy and versatile than first imagined. 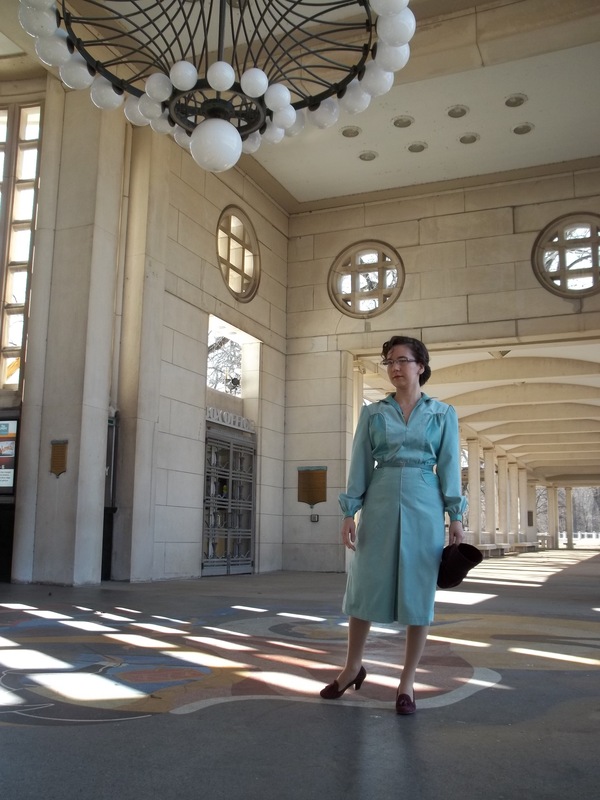 Agent Peggy Carter took advantage of the versatility and convenience of pants many times when her job demanded a highly active, risky, or even professional situation. She owns the “wearing of the pants” with a confidence and realistic fit which is a beautiful thing. 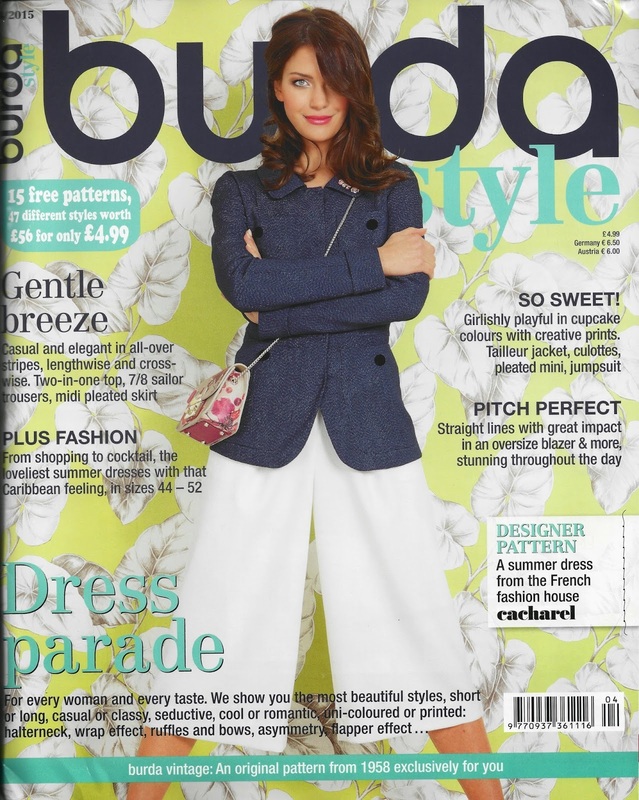 I especially love the way her pants seamlessly work into her existing wardrobe, mixing and matching with the blouses and suit jackets I see worn with skirts, as well. 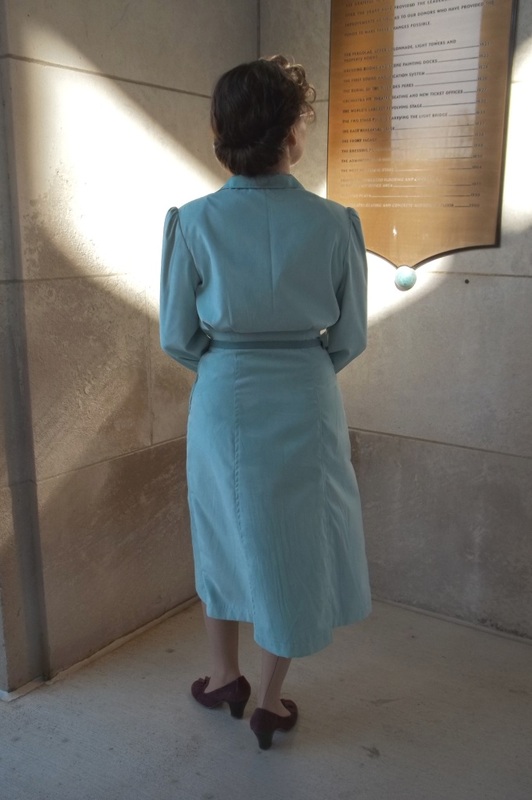 Oftentimes, I enjoy noticing that when Agent Carter wears her pants she takes on a slightly masculine touch to another part of her ensemble – like a chunky, leather belt or an over-sized military-style shoulder bag/pouch. 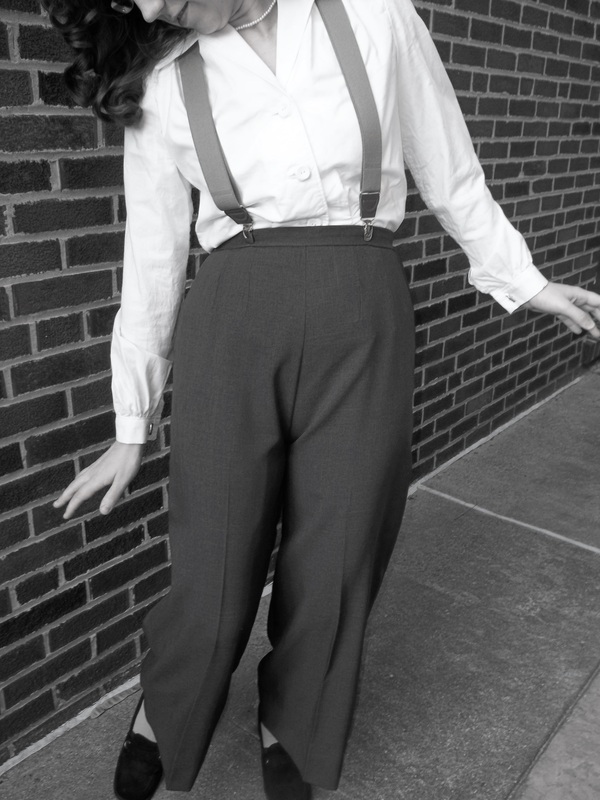 Agent Carter’s slacks seem to fit more on the snug side, very similarly to my own. The “Black Widow” villainess Dottie also takes on wearing pants suits, in a very modern way, once she shamelessly shows her evil side at the end of the series. 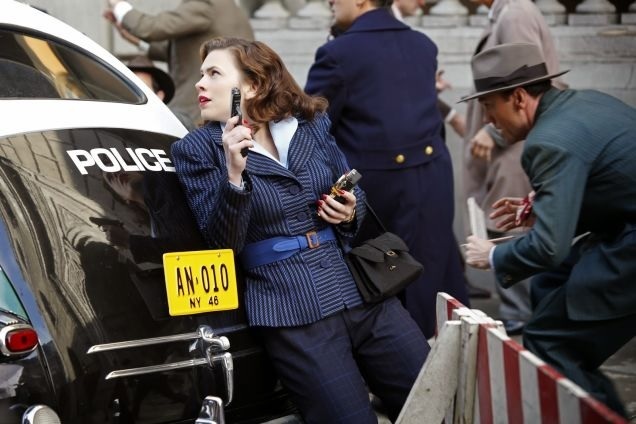 Women wearing pants had a significance in the 1940’s, and it is seen in the quiet undercurrents of both Agent Carter and in true history. 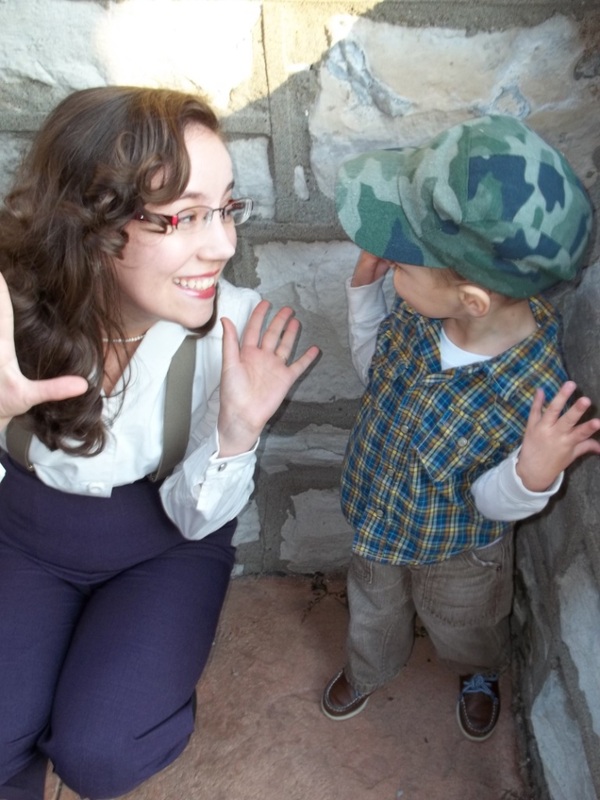 Taking photos for this post was an incredible amount of fun – so much so that my little man got into the whole “say cheese” thing (as he calls it). I can’t help but feel great in these pants…and I think he caught on to my happy mojo. I am a shorter average height and these pants make me feel tall, slender, and curvy. How many pants for women nowadays are so tailored they get ironed?! By the way, pardon all the terms I use for my newest creation, but is it “pants”, “trousers”, “slacks”, …or what? 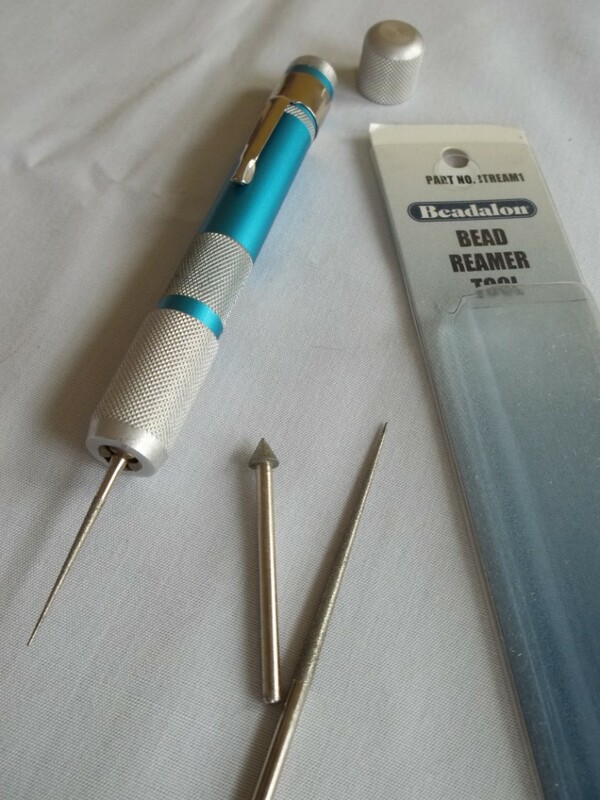 I know there are several terms for bifurcated bottoms, and although all of the terms used in my post are probably appropriate, I have a feeling certain words are more traditionally suited to a particular use. I read somewhere (sorry I don’t remember) that “trousers” were for designating men’s wear bottoms, and “slacks” for women’s wear. When did the term “pants” come in and become popular, is my question, since this is the term I hear and see the most in our modern days. Your insightful comments are welcome. Whatever the term, my new suit slacks are another victory over what had been a sewing hurdle, and another new thing for me to try. 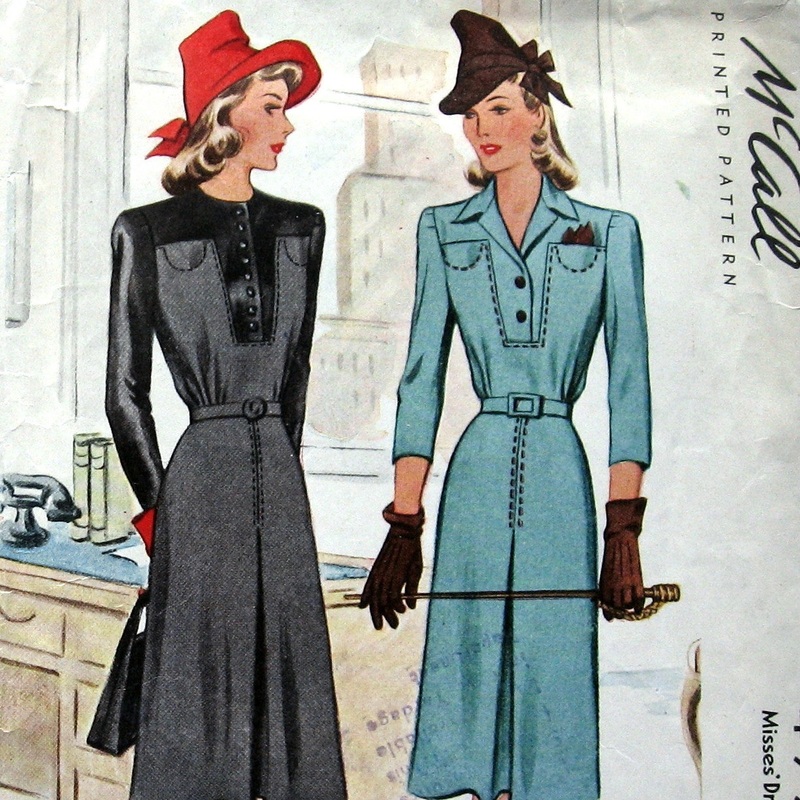 Now that I’ve become acquainted with pants, there a whole other world of techniques to I’m itching to try – front fly zippers, rivets, and hopefully men’s vintage trousers. 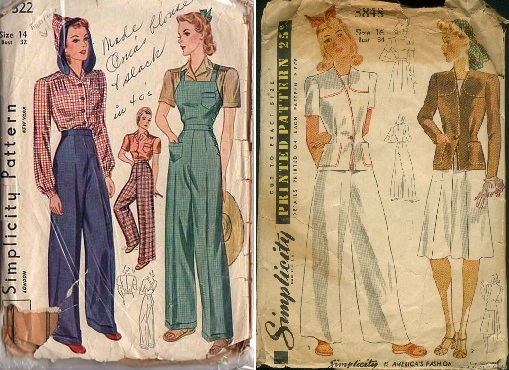 The world of sewing seems to offer limitless possibilities, and my “trial and tribute” 1940’s pants just widened that vast realm a bit more. 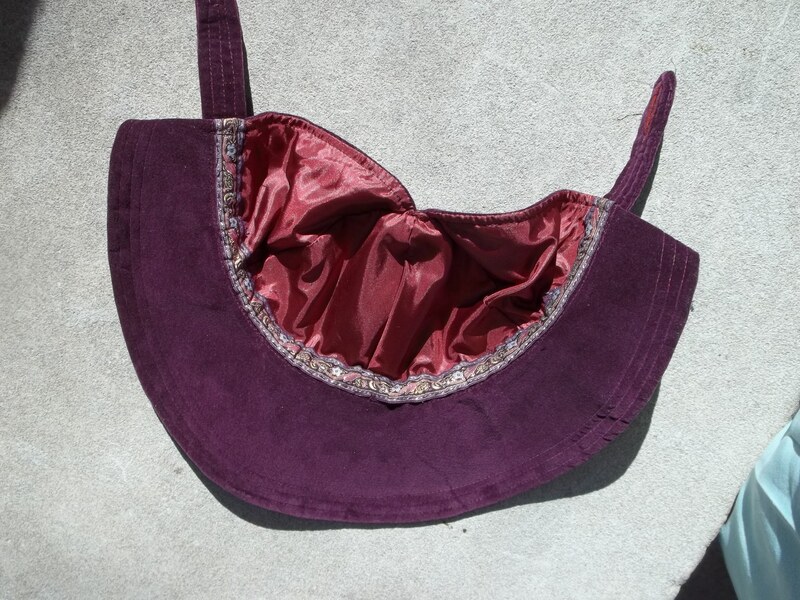 Sewing is indeed a wonderful worthwhile skill to exercise.